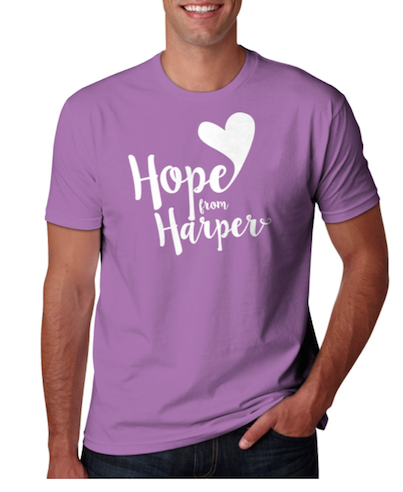 We're excited to announce the "Grand Opening" of the Hope From Harper online store! Visit http://www.hopefromharper.org/p/hope-from-harper-store.html (or click the STORE button at the top of any page at hopefromharper.org) to find available items like t-shirts, polos, hats, decals and bracelets. As new items become available, we'll also add them to our online store and send out alerts so you can shop new goodies! All proceeds from the sale of these items will directly benefit Hope From Harper, allowing us to expand our mission of funding lifesaving childhood cancer research and improving the care received by pediatric cancer patients and their families. Initial orders may take up to 4-6 weeks to process as we get the first shipments of these items in and begin to have some on-hand inventory. Orders may take less time depending on items ordered and the timing of having them produced. 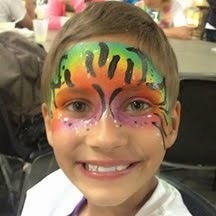 Our continued thanks to those who support Hope From Harper. We look forward to seeing you in your new Hope From Harper swag!